Help little BB walk again ! 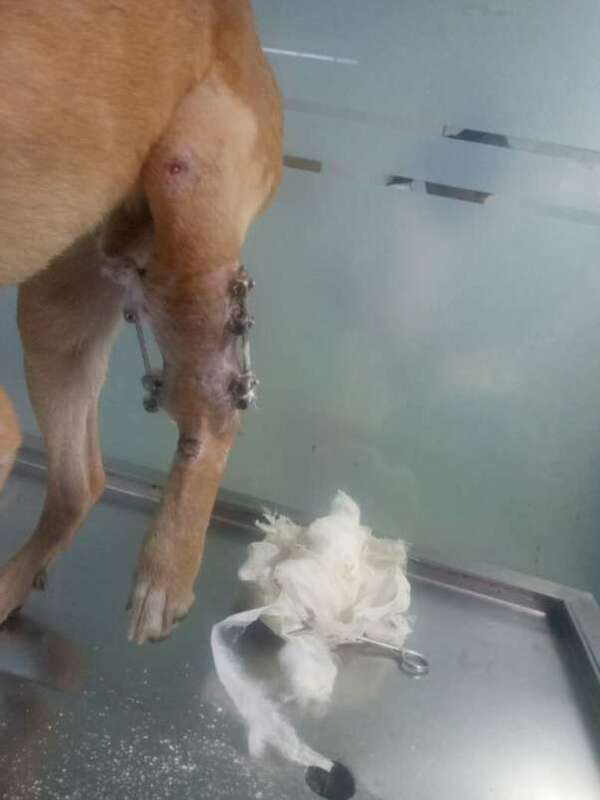 In immense pain and extreme terror , BB was seen dragging and whining as he tried to save himself from any territorial dogs or vehicles coming his way .His leg was swollen and filled with fluids . We immediately took him in and he was taken to the vet since he couldn't stop whining in pain . Upon inspection we found multiple fractures so much so that no cast or plaster would heal it . 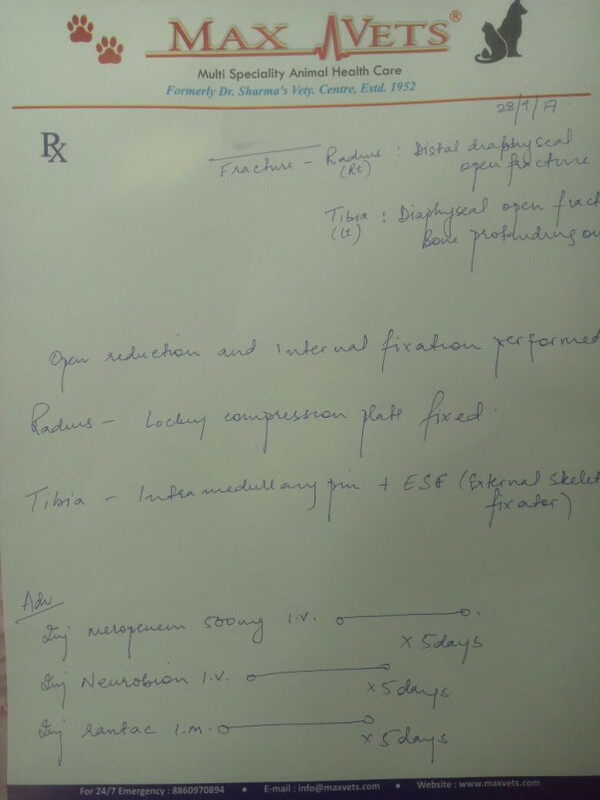 He was advised to immediately be admitted for a pinning surgery whose treatment would last over a month . 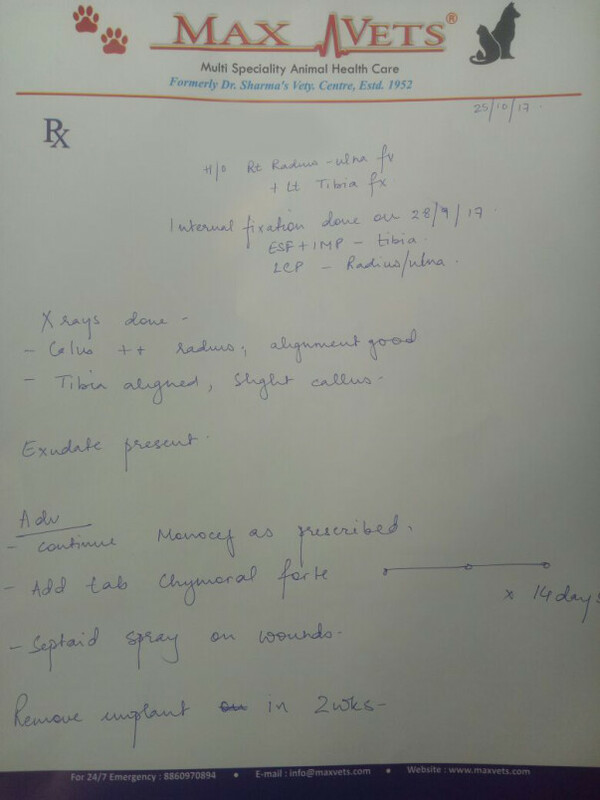 Without any thought of our limitations , we proceeded with treatment on credit basis with the clinic . 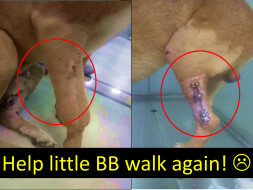 Little BB was put on extensive medication , month long admission in the clinic and we left no stone unturned to help him walk again . 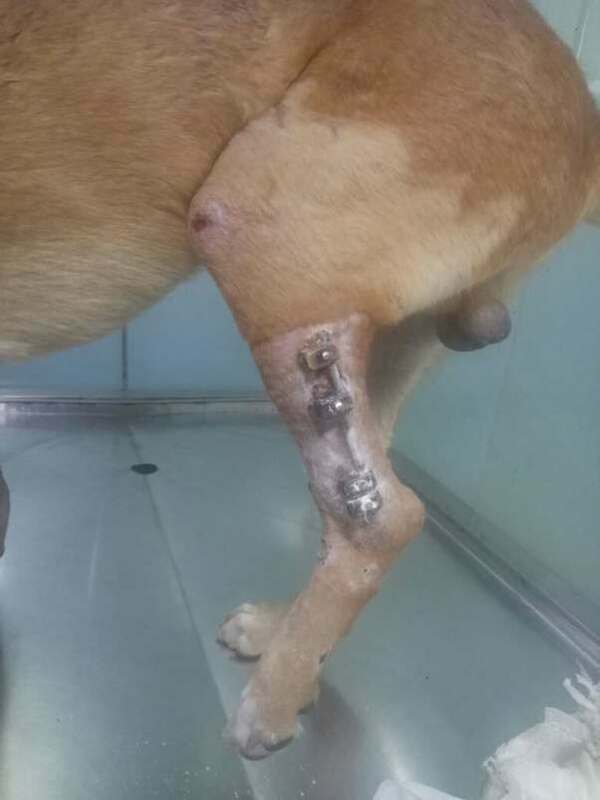 A successful pinning surgery was conducted on our little kid and such a surgery requires every day dressing change , extreme post op care and quarantine of environment to avoid infection on the pinning metal . Little BB is doing better and is under post op care of our NGO's founders - Nikhil & Juhi . While he recovers , we are yet to pay the bills at Maxvets that have reached close to 80,000 INR . 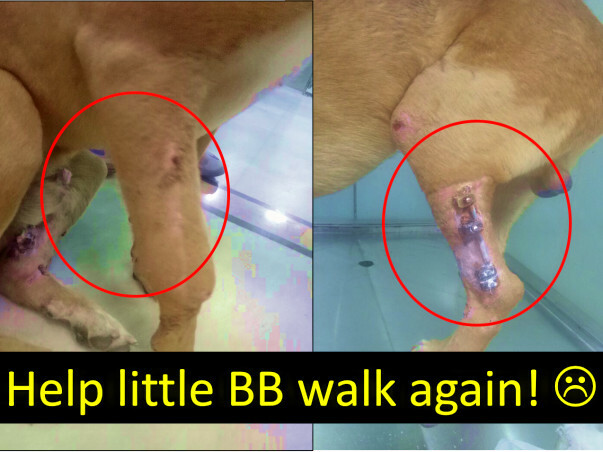 Please help us gather enough funds so we can pay our bills at Maxvets and help little BB walk again with constant treatment . 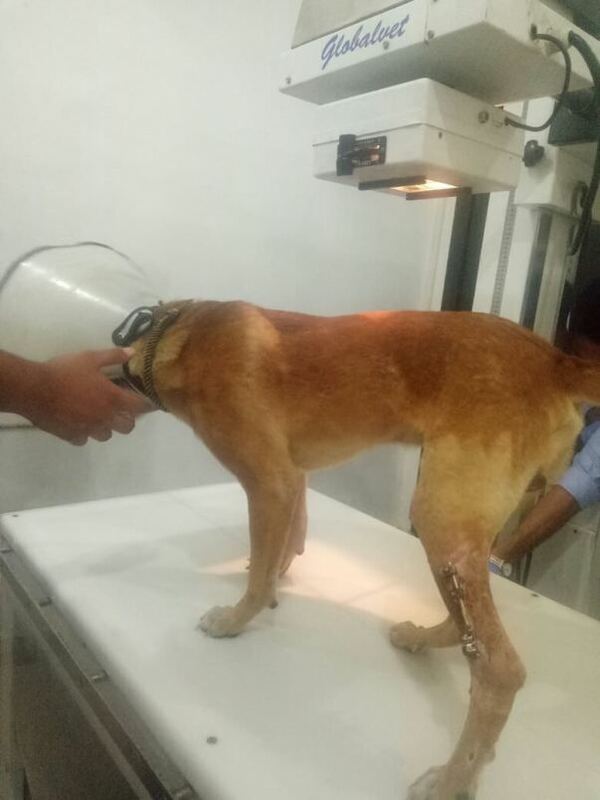 We solely run on mercy of donations and did not think twice before getting him treatment , now we are struggling to help raise the amount . Please donate whatever your pocket allows to help us get through this tough situation. Please share this with friends in India and even abroad to help us achieve our target . You can contact us at anytime at umeedadoptions@gmail.com or our facebook page ( https://www.facebook.com/umeedforanimals/ ) for videos of recovery of our little one and any updates you require for your satisfaction. We will post more updates soon as well ! With folded hands , we request you to come forward for little BB and share this as much as possible . We are counting on you for helping us through this tough time. For BB's ongoing treatment that has been continuing since last few months. The amount withdrawn will be utilized to clear vet bills. Our students had a bake sale and raised money for a charity, and they really wished to give the money to an animal foundation. Hope this helps Bubbles in his recovery. Hi, I love what you do. I truly hope BB gets well soon. I don't earn and I'm running short already but couldn't resist donating this much although it's not much. I'll promote your page so you get a wider reach. Loads of love.